Choose which Ipe gallery you would like to view below. Photos: This gallery features various Ipe decks from locations across the United States. 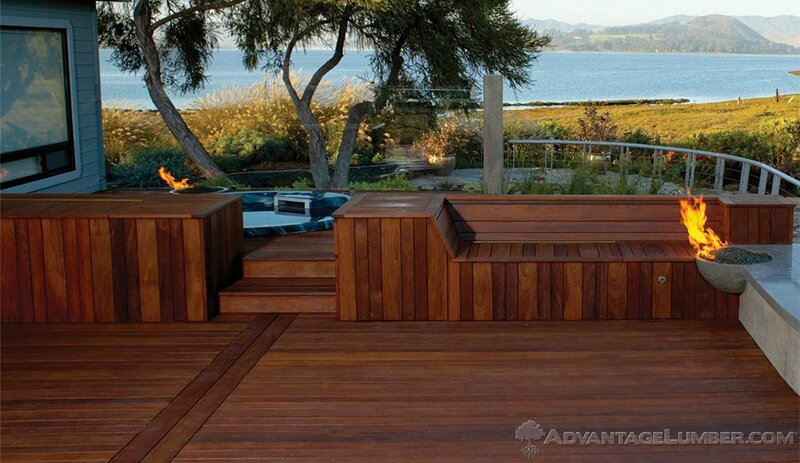 View this gallery if you want to see the versatility in Ipe deck designs. 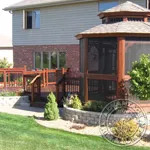 Beautiful Ipe Deck & Gazebo. Photos: This gallery features a Deck and Gazebo built using Ipe. 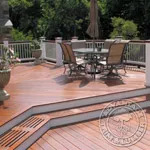 In this gallery you will see very intricate detail of the deck and gazebo. A description of the construction process is also included in this gallery. View this gallery if you want to see more detail of a single Ipe Deck as well as learn more about building with Ipe. 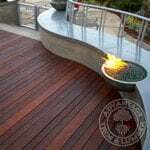 Ipe Deck with Outdoor Cooking Area. Photos: This gallery features an Ipe deck built using concrete accents. There is also a magnificent view of the surrounding area as well as a built in cooking area. View this gallery if you want to see more detail of a single Ipe Deck using advanced building processes. 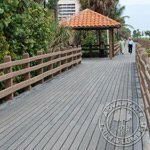 Photos: This gallery features Ipe Porch Decking that is installed at the prestigious Founders Club in Sarasota, Florida. 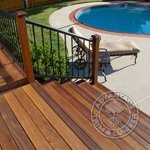 View this gallery if you are interested in Ipe Tongue & Groove Porch Decking. Photos: This gallery features Ipe Decking that is installed in commercial applications throughout the world. 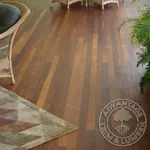 View this gallery if you are interested in seeing the strength of Ipe in commercial applications. Photos: This gallery features Ipe wood that is installed in numerous applications throughout the world. View this gallery if you are interested in seeing the versatility of Ipe Wood in various applications. 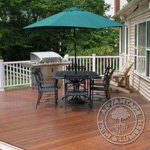 Photos: This gallery features Ipe deck photos submitted by our satisfied customers. View this gallery if you are interested in seeing what people like you have done with their Ipe wood.